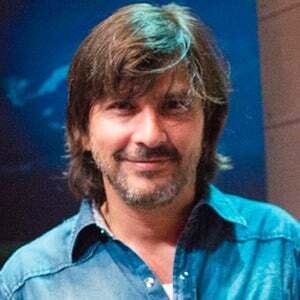 Actor, animator, television director and producer who is known for being the host of La Noche, having wrote the film Nada Personal, and for having starred in the novella Mostro of Love. He is also known for his work on the comedy series UHF. He first began his career in television at the age of 16. He began working on several serial novellas and in 2001 he went on to direct and produce the series Singles No Commitment. He is also known for his photography which he shares through Instagram for his over 70,000 followers. He married Carolina Jaume in February of 2007 and together they had a daughter named Rafaela Milena Pimentel Jaume. He starred alongside Tabata Galvez in the 2011 Teleamazonas comedy program UHF.